You’ve decided to explore the world of custom packaging, and you’re starting with custom poly mailers. That’s awesome. 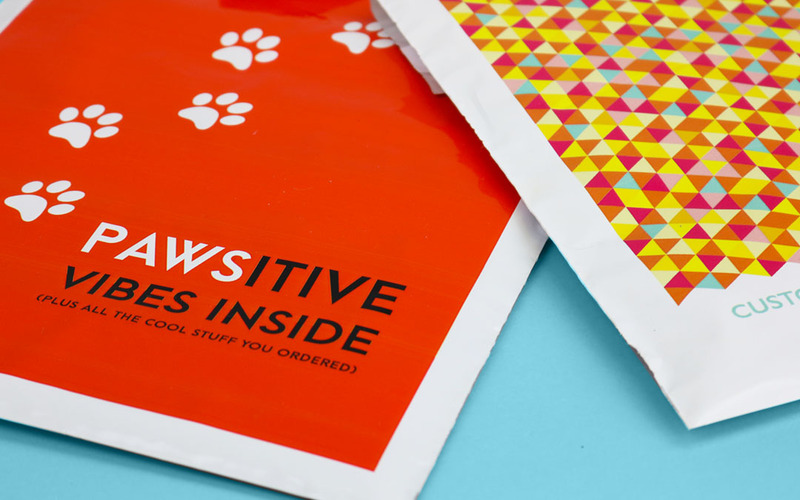 Your budget’s been laid out, your graphics are ready to go, but there’s just one thing left: what size poly mailers do you choose? If you go too small, your products won’t fit inside. But if you go too large, you’re wasting space and ink, and therefore, your budget. Custom poly mailers have ample space inside them, are made of tear- and water-resistant polyethylene material, and are best used for non-fragile goods. Let’s see what size and type of products they’re ideal for shipping. By the way, for this blog we’re assuming that you’re using custom poly mailers mostly as-is, without any additional padding inside (otherwise, you’re better off using poly bubble mailers since they’re pre-padded). As such, we’ll be talking about packing up soft goods that don’t require extra padding and products that have their own box-based packaging. Custom packaging is the best of both worlds—it’s protection for your products, and promotion for your brand. And when it comes to shipping simple and non-fragile goods, custom poly mailers are a great-looking and cost-effective choice for your shipping packaging. Plus, your customers are going to absolutely love them in all their sleek, shiny and full color glory. So, now that you know what ships best inside them, you have a better idea of what size works best for your products and your packaging strategy. Bet you can’t wait to get your customer orders out for delivery, huh? Once you’re ready to get down to it, we’ll see you over at the custom poly mailers online designer. And if you’ve got any questions about your new custom poly mailers, be sure to get in touch with us. Remember, keep your branding in mind and you’ll create something memorable. And most of all, don’t forget to have fun!